The Museo de la Talavera (Talavera Museum) has been established in the city of Puebla, with an initial collection of 400 pieces. The museum is dedicated to recounting the origins, history, expansions and variations in the craft. Pieces include some of the simplest and most complex, as well as those representing different eras. Several temporary and traveling exhibits of certain themes have been created from these permanent collections. One of these was called “El Aguila en la Historia de Mexico” (The Eagle in the History of Mexico). The forty-two-piece exhibit was sponsored by the Senate of Mexico to show how the eagle symbol has been used in the country throughout its history. This exhibit was sponsored in honor of the Bicentennial of Independence in 2010. These ceramics were chosen because of their combination of art and utility. Eagles depicted include that of Mexico’s coat of arms, as well as those of political figures such as José María Morelos y Pavón and Porfirio Díaz, and those used by institutions such as the Royal and Pontifical University of Mexico and the Mexican Senate itself. Handcrafts in Mexico vary widely from materials used, techniques and employ and styles preferred. 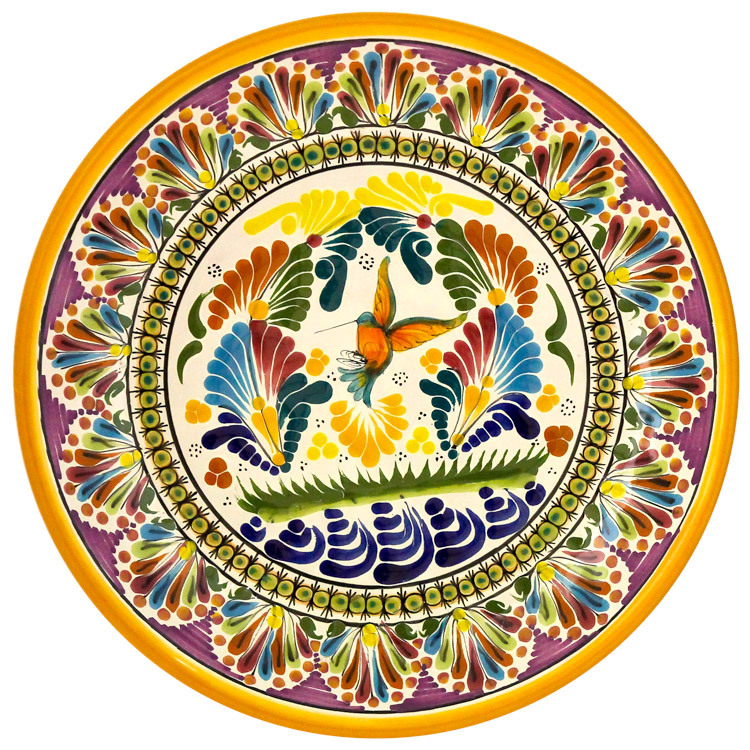 The most prevalent of Mexico’s crafts is ceramics/pottery. 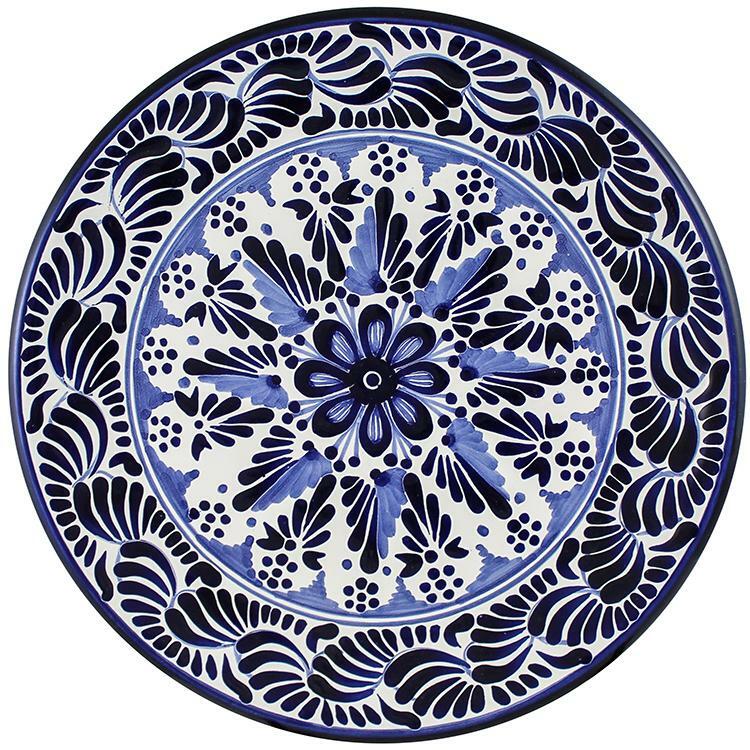 Ceramics was considered one of the highest art forms during the Aztec Empire, with the knowledge of making pottery said to have come from the god Quetzalcoatl himself. Pre-Hispanic pottery was made by coiling the clay into a circle then up the sides, then scraping and molding the coiled work until the coils could no longer be detected. The Spanish introduced the potters’ wheel and new glazing techniques. 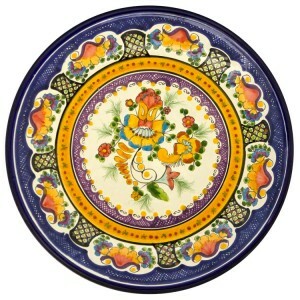 Majolica glazed pottery was introduced by the Spanish. 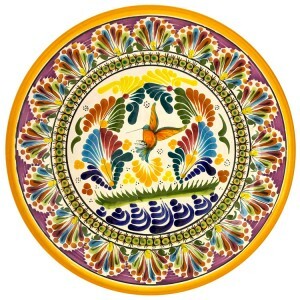 Puebla in particular is renowned for its variety of Majolica, which is called Talavera. One distinctive feature of this city is that many kitchens and buildings are decorated with intricately detailed Talavera tiles. Tiles are a subset of ceramic pottery and were used extensively in colonial-era Mexico. These tiles were first fired at a low temperature, then hand-painted with intricate designs, then fired at a high temperature to set the glaze. These are still made, but most decorative tiles used in Mexico are factory-made. 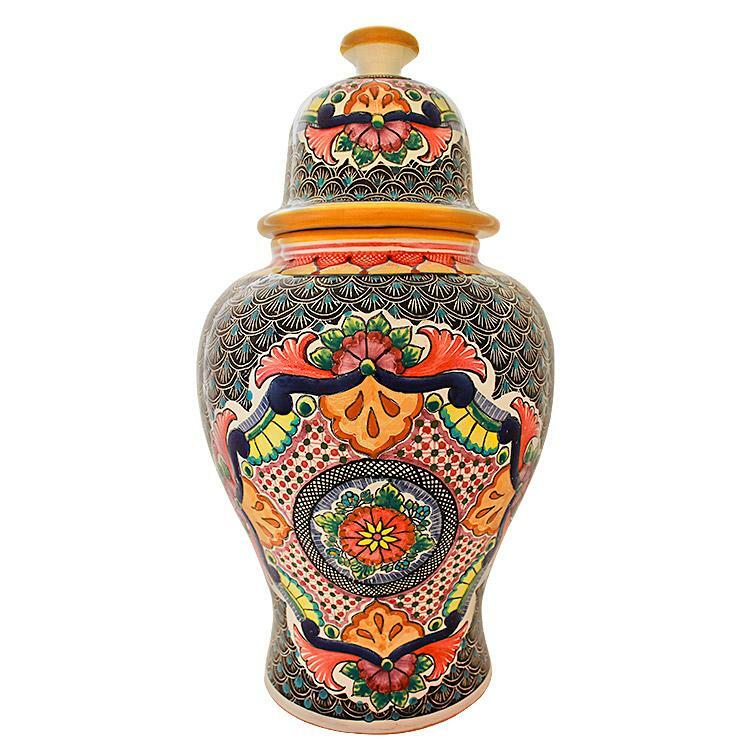 Unglazed pottery is still made, but generally it is for decorative purposes only, and copies the designs of pre-Hispanic cultures. 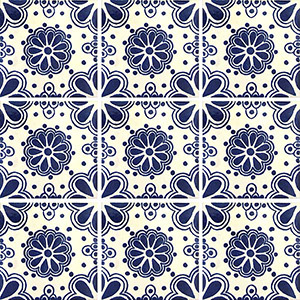 Blue and White Talavera Tile – If you are looking to put a little bit of the Southwest into your home’s design scheme, why not try it with our Talavera Tile. 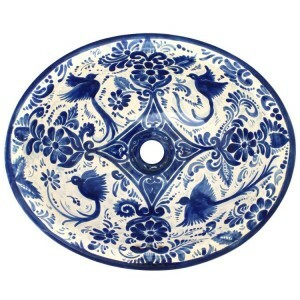 Particularly, are blue and white pattern is just the perfect thing to liven up a space. These tiles make perfect accent pieces for kitchens and bathrooms, yet they have many other applications as well. Brighten up a set of patio steps by facing the risers with some blue and white Talavera Tile. If your back patio is a bit aged, liven it up a bit by placing tile on the back wall. These pieces really make backyard spaces pop. You could even try in-setting a few of them into concrete stepping stones to echo the tone of Mother Nature. Their bright, festive nature lends them to all sorts of applications! If you have any leftovers, they make perfect coasters. Simply glue four rubber feet to the bottom to prevent the back from scratching your furniture. You could also group a few together and use them as a trivet. Their ceramic material means they really stand up well to heat and cold. They also do a great job as a coaster by protecting your beautiful wood furniture from those pesky water rings. 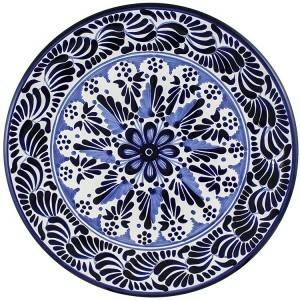 Yet, the really unique thing about our Talavera tile as opposed to other types; our tile is all handmade in Mexico. 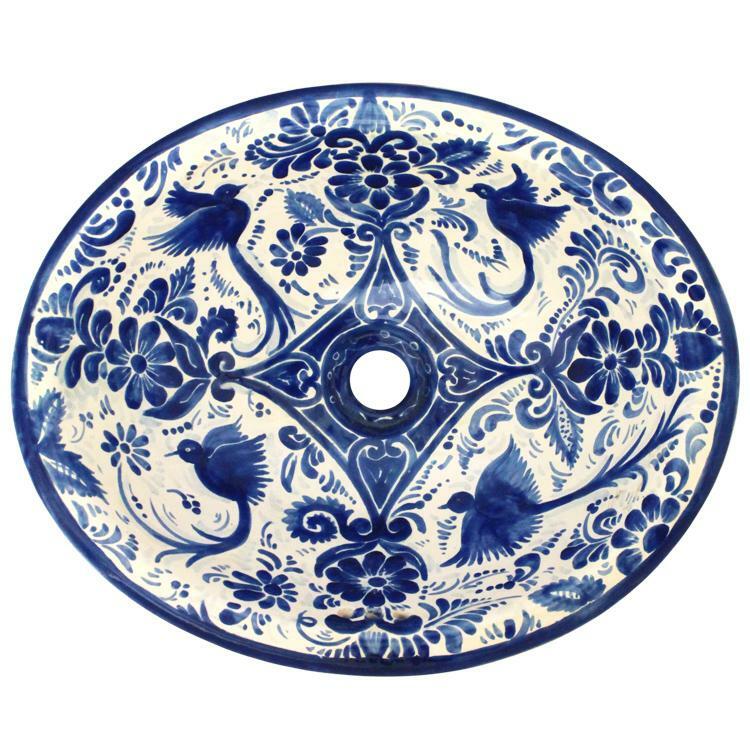 That’s right, our artisans use traditional means and make the tile in the traditional Talavera manner, using only the highest quality materials and natural pigments. These methods have been passed own for generations and the skill set takes years to master. Most master tile makers spend several years as an apprentice in a local shop, working under a master artisan in order to hone their craft. The result is unmatched quality and amazing artistic design. 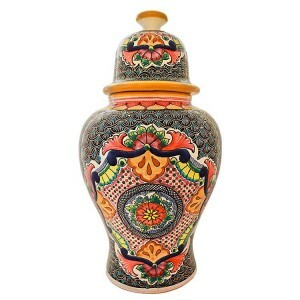 Take some today and see why Talavera is the premier choice for brightening up any space in your home.